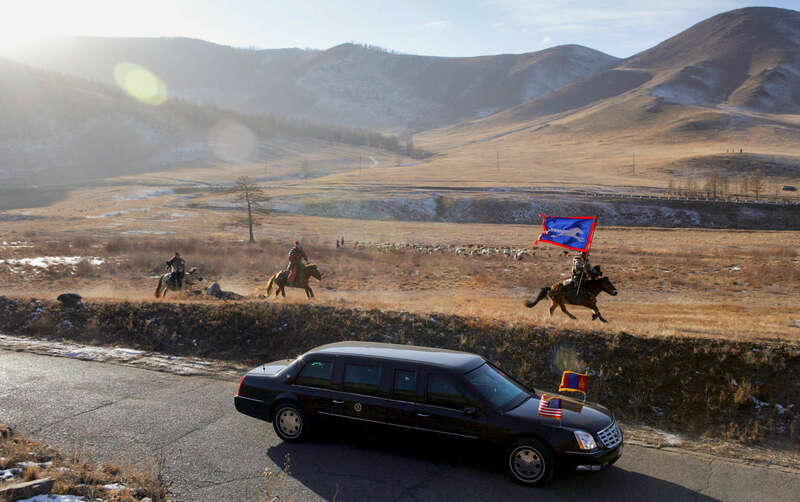 President Bush, Laura Bush: Presidential limousine, Mongolian horsemen en route Cultural event. Ikh Tenger, Herder Family Ger. Mongolia.